We are on the final day of the fourth and last week of BM # 40. Days surely fly! 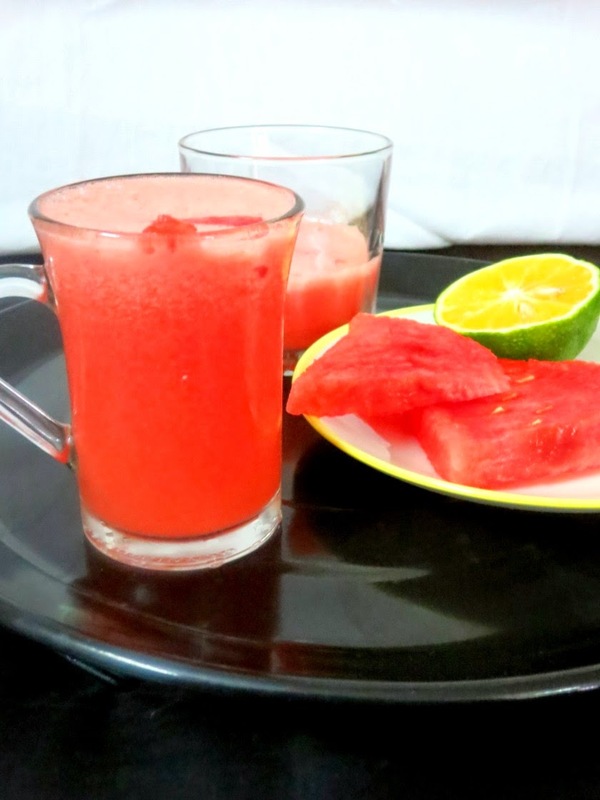 Coming to the theme, I am making mocktails and with the heat souring so high, one never feels short of these drinks. It's almost like I saved the best for the last. 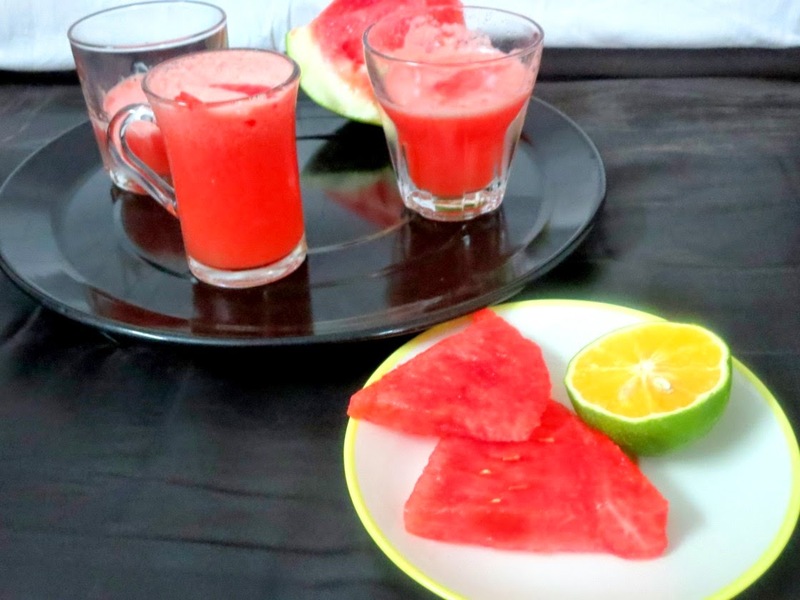 This bright looking drink made with watermelon and orange was simply too good. Not only on the looks department, the taste was so refreshing as well. To one batch I added mint leaves as well and that turned out very good too. If not for the question of clicking these drinks, one can do these forever, with so many choices and endless days, quenching our thirst with these delicious drinks. Summer vacation is almost nearing and it's just a week left for Konda's school to reopen. She is going to be a ninth grader this year and it sure going to be hectic for us. It will be another 3 weeks for the boys school to reopen. For my side, it's just a month vacation of not thinking what to pack. Now I will have to get myself ready for that. Anyway while I think of planning myself, you enjoy this drink! 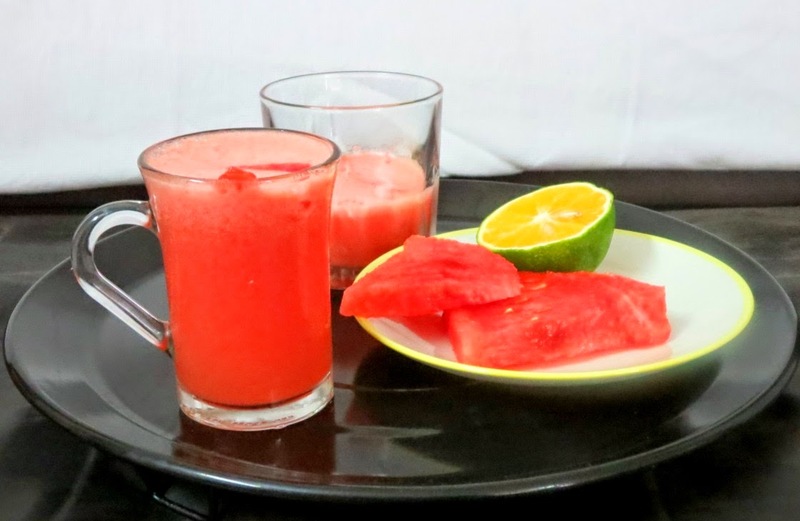 Blend seedless watermelon along with orange. Pulse it couple of times for the watermelon to get crushed. You can use ice cubes while blending so that you get rocks. Add mint leaves and serve right away.